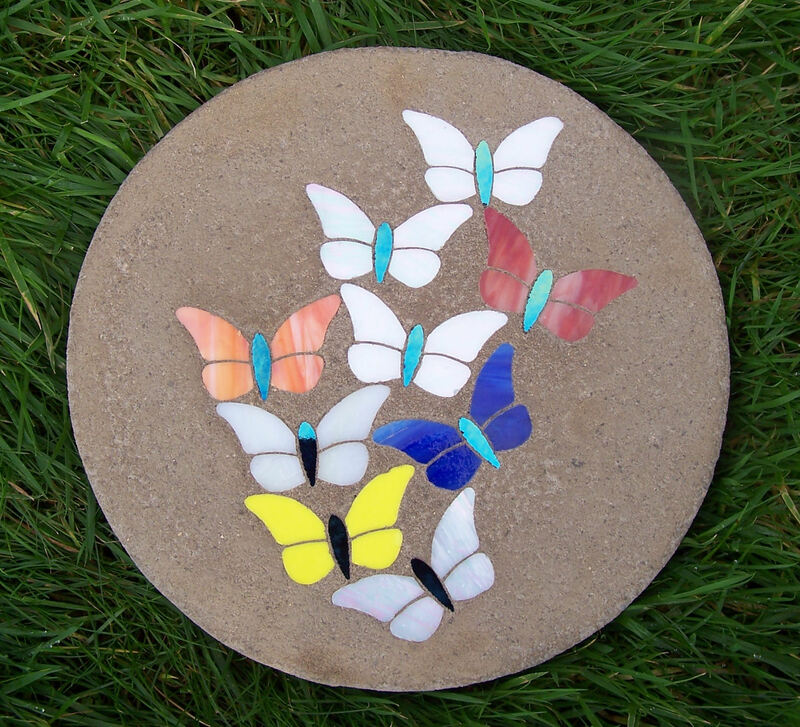 Nine Butterflies Colours of your choice. 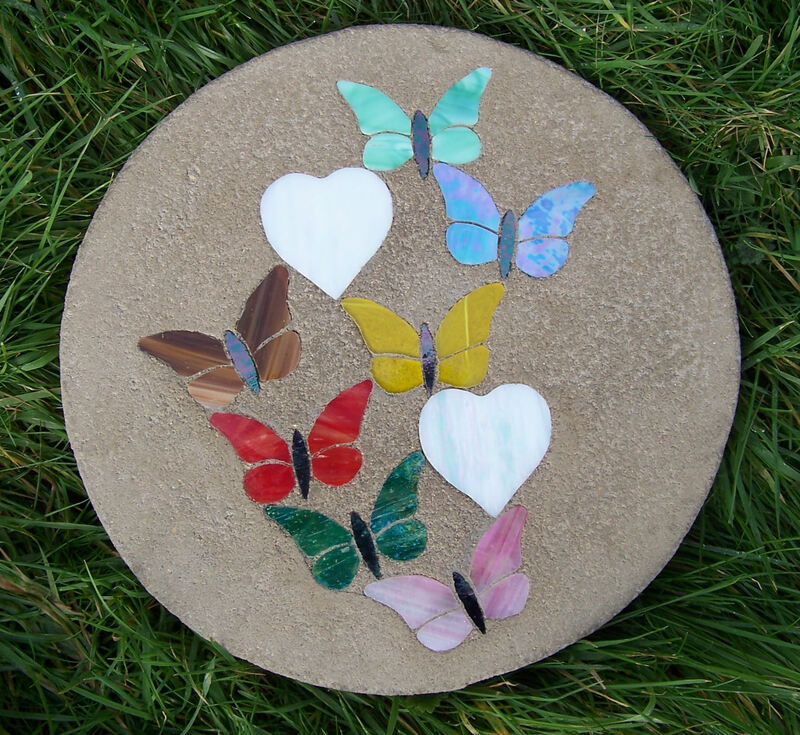 Seven Butterflies with two Irridised Hearts or any combination. 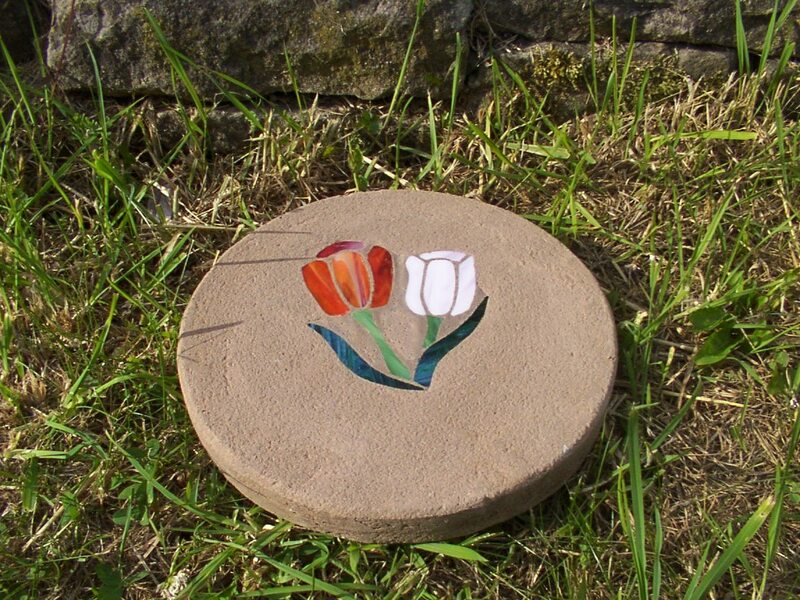 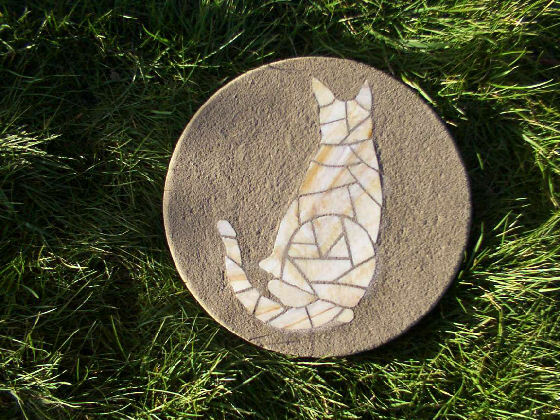 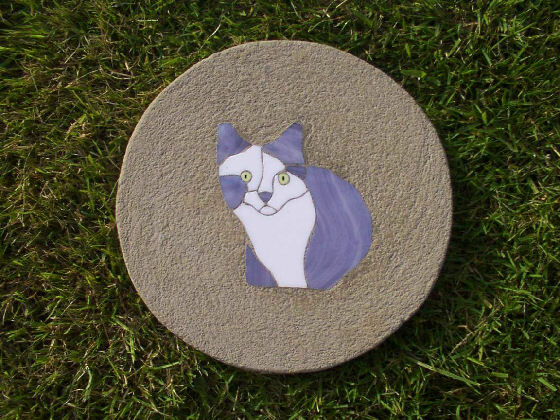 Mosaic Cat in light brown glass other colours are available. 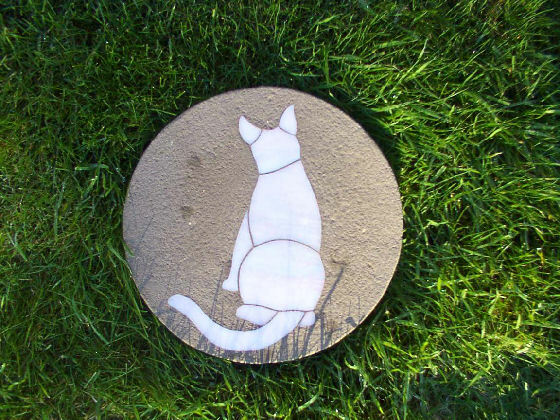 White Cat using Irridised glass.